Andre Meunier is a ‘can do’ sort of fighter. “I had been training with Keith Ellis at the time [in boxing], but was having a layoff. I ran into James Roesler, head-trainer of Ultimate Kickboxing in Hopper’s Crossing down the local shops. “He’d just opened his own school, and invited me down to hit the bags and do some sparring. After a few weeks, he asked me if I wanted a kickboxing fight. ‘What do I have to do?’ I asked. ‘Kick and punch; you’ll be right,” he said. Since then, Meunier has had thirty kickboxing fights, six pro boxing, a slew of amateur boxing fights and a foray into MMA. He is Victoria’s number one heavyweight and has developed a reputation as an entertaining fighter based on his willingness to take on anyone, anywhere, any time. 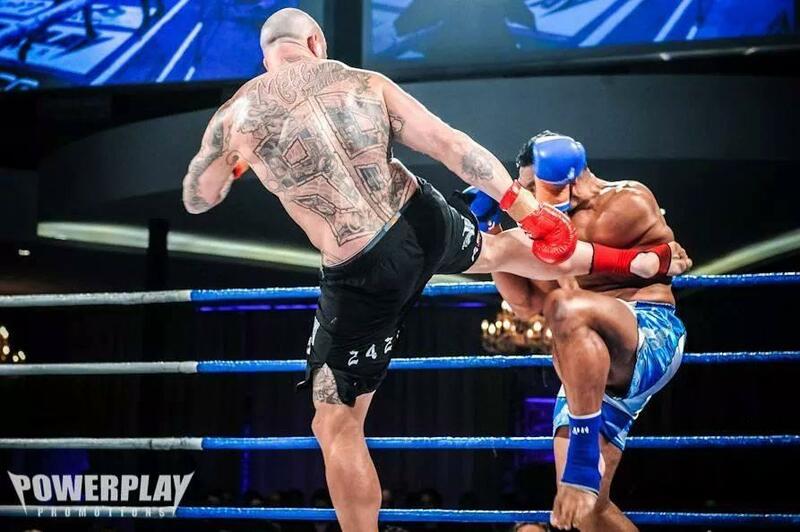 This attitude has snagged him a spot on a big promotion in Japan alongside some of the biggest names in the sport, including Sakmongkol and Peter Aerts. 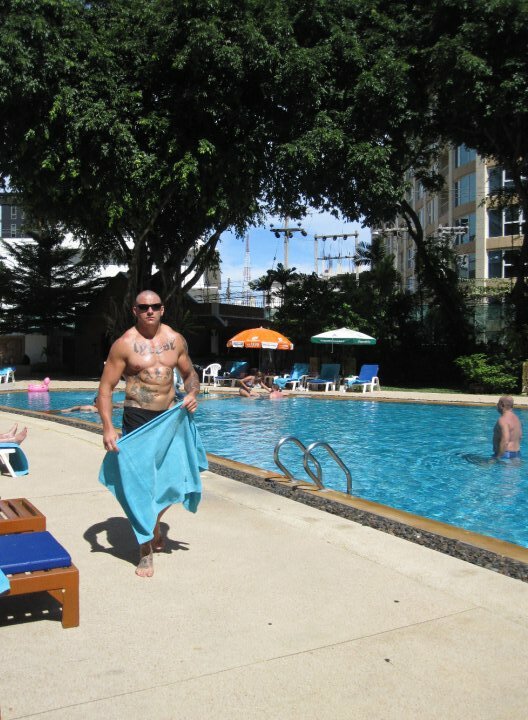 “I’ve been training at the WKO in Pattaya, In Thailand; Sifu McInnes’ school. McInnes is putting this show on. He knew I wanted a fight in Japan; it’s a bit of a dream for all fighters, I suppose. 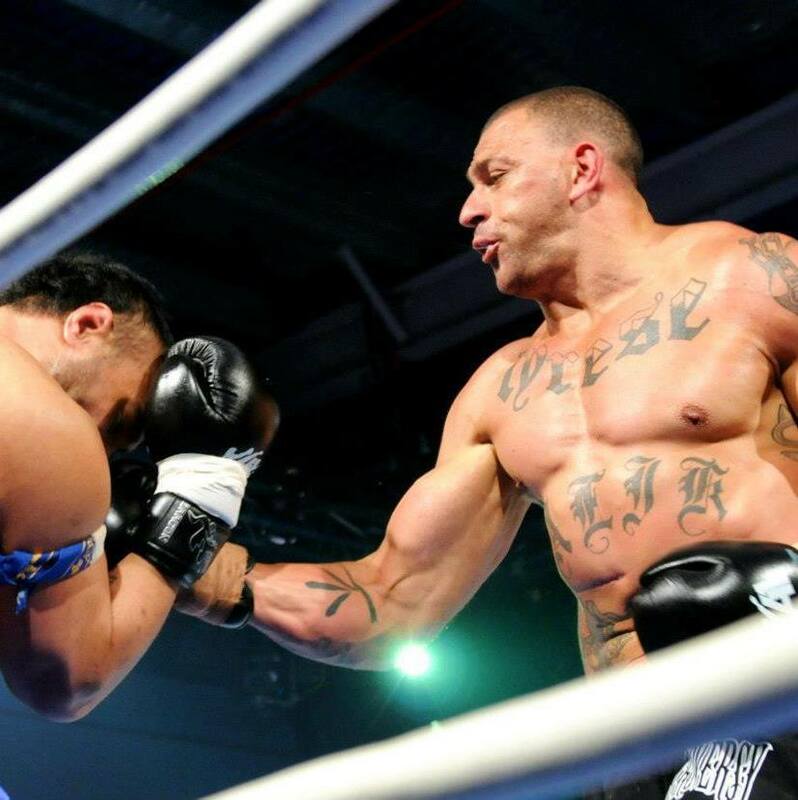 Meunier’s opponent is a fighter well-known to Japanese kickboxing fans – K1 stalwart, German Chalid ‘Die Faust’ Arrab. Andre is not intimidated, however. Thailand is a popular destination for many fighters working up to big fights, always for similar reasons. 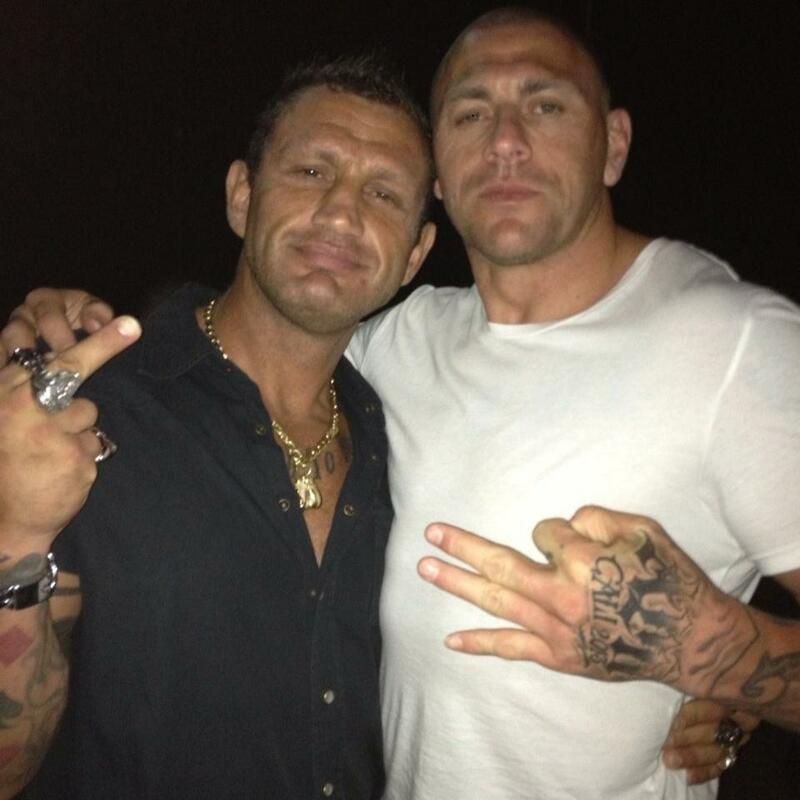 Nick Kara has been training Andre for a long time now, and there’s a strong mutual respect connecting the two. Kara is a former world Thai boxing champion who won his title from the highly respected American, Manson Gibson, in Las Vegas. Nick is especially well-known to fight fans in recent times as one of the pad holders on The Ultimate Fighter, endearing himself to audiences through his love of practical jokes. Lumpini legend Sakmongkol is Andre’s pad holder. 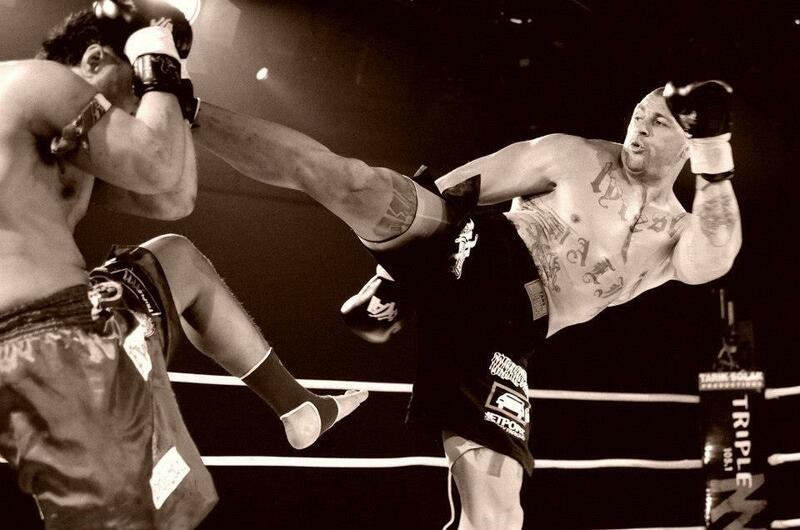 Andre has fought at international level before, being slated on a K1 Turkey show in 2007. “That was my seventh fight – my opponent was forty-odd fights into his career. It was a wonderful experience; Turkey is somewhere I never thought I’d go. The promoters didn’t make it easy for me, though – I was flown in two days before the show and still had jet-lag by the time I fought. Many of the best kickboxers understand there is a crossover between fighter and entertainer, and Andre effectively works off that basis. His willingness to talk about his past creates the impression of a man whose character matches his appearance. 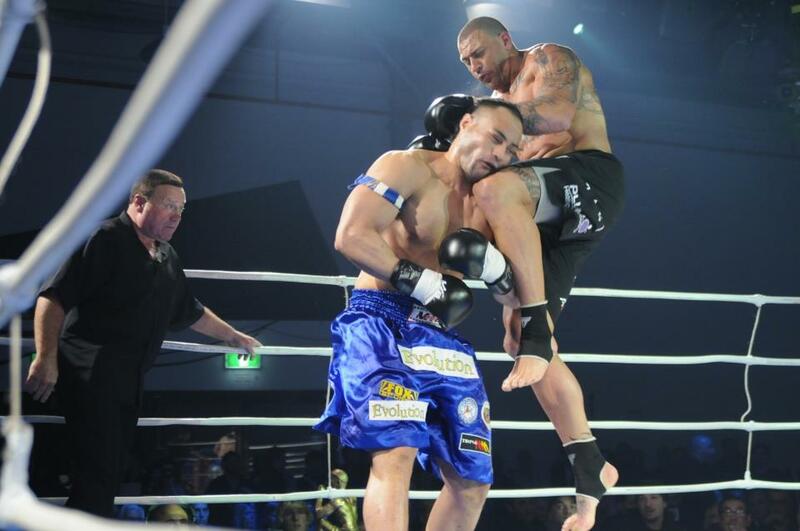 “I got started in boxing after I got out of gaol,” he says. “I was gaoled for a month for assault. It was alright; I took it on the chin. When you do something like I did – and get caught – you have to do it. I didn’t want to go back into nightclubs; that was just trouble. Being committed to both disciplines begs the question as to whether he ever gets confused during his fights. “When I’ve got my boxing boots on, I know I’m not throwing kicks,” he says. Andre has had six fights for six wins as a professional boxer, although the most high-profile of his opponents backed out in the end, also. While many were critical of Hall’s sudden withdrawal, Andre is more philosophical. “There was a heap of pressure on him; he was the bad-boy of AFL. There were just as many people that wanted to see him belted as there were people that wanted to see him win. He probably had another think about it and considered what it was going to do for him. Andre is generous in his assessment, given that his own attitude is considerably different. This attitude goes down well with promoters and fans alike, and that dependability, coupled with a willingness to take on anyone at any time, has seen him fight many of the biggest names in Australia. Over the duration of the contest, Peter’s conditioning was too much and the fight ended in Graham’s favour via leg kicks in the third. 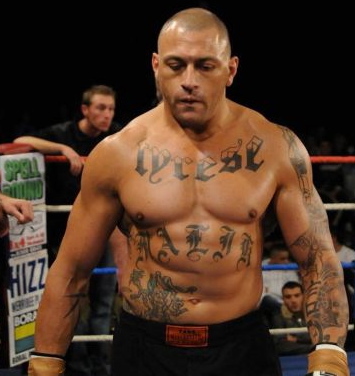 The most high-profile of Andre’s kickboxing fights was against Graham’s long-standing nemesis, fellow Australian Paul Slowinski. Unfortunately, Andre didn’t get the opportunity to display the extent of his training and Paul’s famous high-kick found its target early in the first. An alarming story, and one you wouldn’t want to tell your mum. That said, Andre knows he got off lightly. “I think Kickboxing is harder [than boxing],” he says. “There’s more to worry about; more getting thrown. If you’re not checking, your legs get battered and it’s more draining. When asked to nominate his toughest opponent, Andre is slow to answer. “When I fought Paul he knocked me straight out and Peter [Graham] was tough, but as far as a good war… I’d have to say Rob Fogarty. 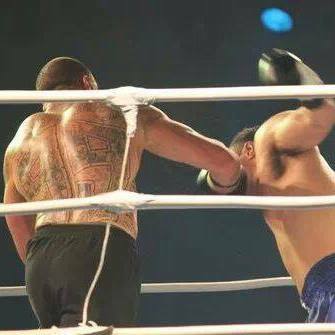 I fought him for the WMC Australian Heavyweight title in 2008 under full Thai rules – it was my first fight [under full Thai]. “We bashed each other. He broke both feet and ended up in a wheelchair. He won, but that night, I went out dancing and walked out of the hotel the next day. We still give each other a hard time about that,” says Andre. Surprisingly, Andre’s sporting background is in basketball, a sport both his teenaged sons excel in. Watching your own children fight is a notoriously difficult undertaking for any parent, possibly more difficult for a parent that has spent time in the ring themselves. Fighting is high on the agenda of many young men and brings with it the shadow of responsibility. As the father of two teenaged boys, this isn’t lost on Andre. Andre hasn’t forgotten anyone that has helped him on his path. Before finishing the interview, he’s sure to mention his sponsors. This entry was posted on January 2, 2015 at 9:19 pm and is filed under Journalism, Kickboxing, Martial Arts, Real Men with tags AFL, Barrty Hall, Chalid Arrab, Chris Noble, Herald-Sun Newspaper, Hopper's Crossing, James Roesler, JetPort Parking, K1, Keith Ellis, Lester Ellis, Lumpini Stadium, Malik, Manson Gibson, MMA, Nick Kara, One Punch Campaign, Pattaya, Paul Slowinski, Peter Aerts, Peter Graham, Platinum Gym, Powerplay, Rob Fogarty, Rockwell Watches, Sakmongkol, SEN radio, Sifu McInnes, Tarik Solak, Thailand, Turkey, Tyrese, Ultimate Muay Thai, Virus Performance Sportswear, WMC title. You can follow any responses to this entry through the RSS 2.0 feed. You can leave a response, or trackback from your own site.